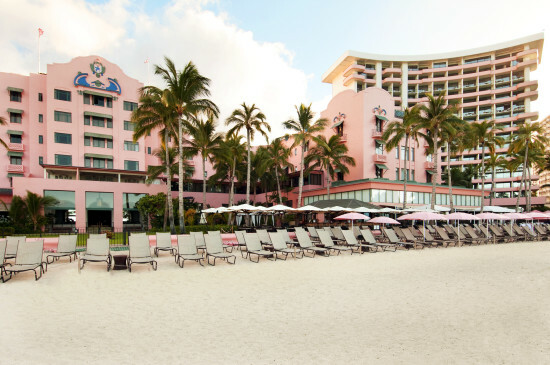 No, it’s not your rose-tinted spectacles, the Royal Hawaiian Hotel, old-style glamour girl of the Waikiki strip, really is a blushingly bright shade of pink. 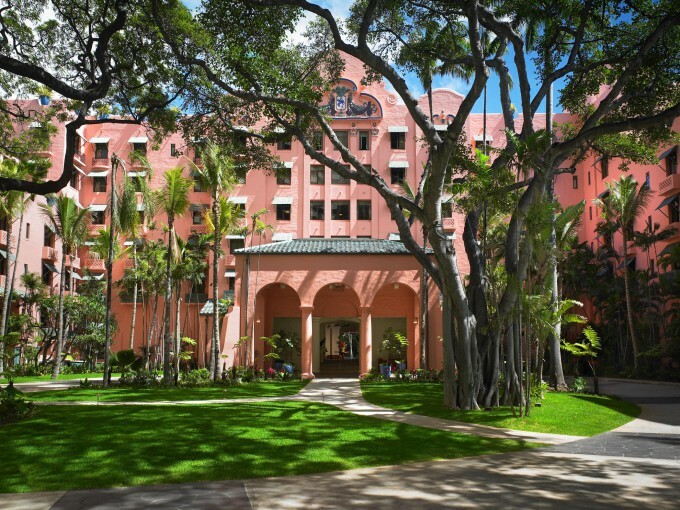 The Royal Hawaiian is also one of Graham Ross’ favourite hotels and he made sure it was a feature of the itinerary he has planned for his upcoming tour to Hawaii in June. We asked him to tell us a bit about the hotel. No one knows exactly. The usual story is that when it was built – in 1927 as ‘an enclave of luxury and romance’ – the Spanish-Moorish style was the chic design trend. The big Hollywood star of the time was Rudolph Valentino. Somehow Valentino-style mixed with Art Deco Spanish- Moorish, and it all came out pink. Does the colour make you smile whenever you look at it? It certainly does! Though it’s true that the ‘Pink Palace of the Pacific’, as she is known globally, might make a few sit back and stare these days. 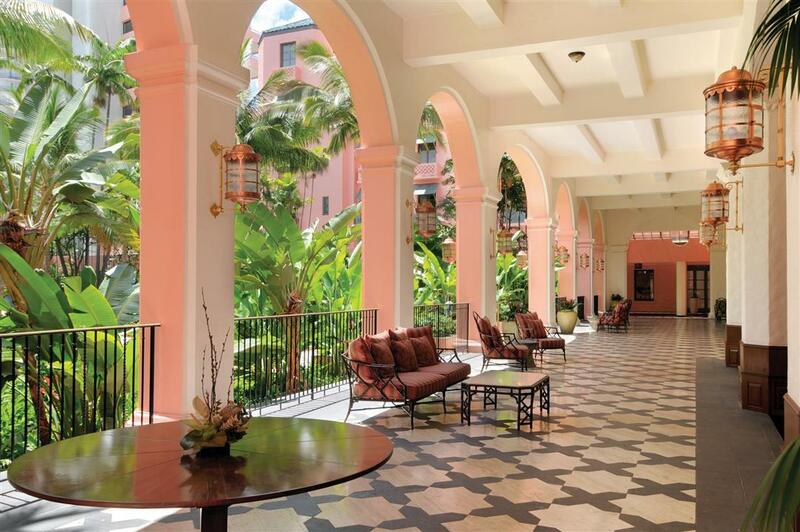 In 2010 the hotel had a complete refit and the original décor was restored. That’s made the pink quite a bit brighter than when I first saw the hotel in 1956. It was a bit faded then, having been leased to the US Navy during the war. Stunning, and quite extensive for a hotel in Honolulu on the Waikiki strip. There are 4ha (10 acres) of gardens and they include lush beds more than 80 years old, filled with hibiscus and frangipani. The famed Coconut Grove garden was originally the site of the Summer Palace of Hawaii’s Queen Kaahumanu. It was her husband, King Kamehameha, who conquered all of the Hawaiian islands and Oahu in 1810. I first walked through the gardens with my brother and parents after sailing to Hawaii on the P&O SS ‘Oronsay’ in 1956. I was young but clearly remember three things: the hideaway nature of the gardens and palms (this was the first time I had seen a tropical palm garden); the little shop in the hotel facing the garden and selling original Hawaiian shirts; and the barbed wire along Waikiki Beach, which was a hangover from the war. Hard to answer in one, but here are a few things: it is the only luxury hotel in Honolulu that is off the main drag, so there are no sirens bleating all night; the huge, cool tropical gardens are a great place to escape into; and it’s the only hotel that has its own private area on Waikiki Beach. And then there are the beautifully decorated, sumptuously furnished rooms, and the historic décor. Oh, and another thing – the garden shop is still there, today with the grandson of the original owner selling the Hawaiian shirts!